China has embarked on a journey to re-establish its image as a superpower and a prosperous nation. 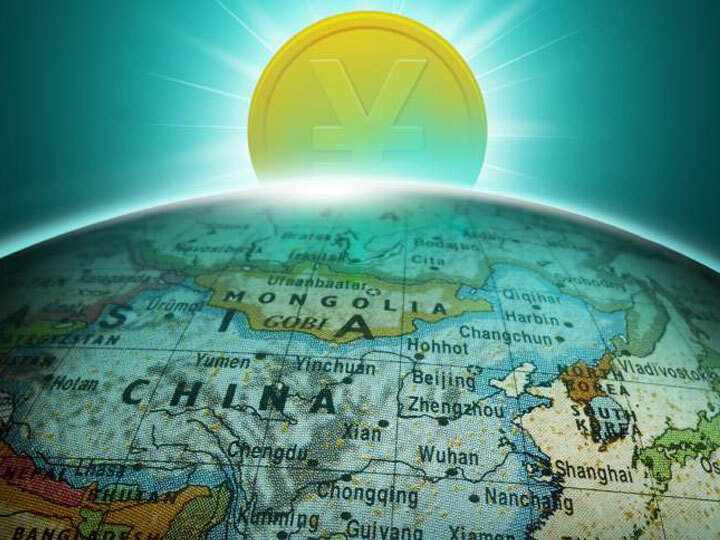 In today’s global politics and economics the most discussed issues are the rise of China and the internationalization of the RMB. The progress made towards the transformation of the Chinese economy is laudable from the economic and social dimensions. However, much need to be done for achieving long term stable and sustainable economic growth. The theme of the workshop is focused towards evaluating the successes and failures of “Market Socialism” as an alternative economic model (Paradigm). The workshop also tends to focus on questions such as– what lies ahead between India and China? What are the possibilities and impossibilities? The workshop is opened for faculty, researcher, and industry professionals interested in a deeper understanding of Chinese economy and the prospects of India-China economic and financial relationship. Resident Professor of International Economics, John Hopkins School of Advanced International Studies, HNC, Nanjing, China. Dr. Kurien obtained his M.Phil. and Ph.D. degrees from Madras University, India. Before joining the Hopkins-Nanjing Center for Chinese and American Studies in September 2011, he was a Visiting Associate Professor of Economics at Rockhurst University, Kansas City, USA. Prior to moving to the U.S., he was Associate Professor and Vice-Principalof Loyola College, Madras. Dr. Kurien was also a Visiting Scholar at the Universite Africaine De Technologie, Benin, West Africa and the Xavier Institute of Management (XLRI), India. He was awarded the U.S. Fulbright Fellowship to Sri Lanka and taught at Peradeniya University (2009-2010). Dr. Kurien has delivered guest lectures at La Trobe University, NSW, Australia and Chulalongkon University, Bangkok. In 1997, Dr.Kurien led a study team to Bangladesh to evaluate the working of Microfinance Institutions. His research interests are in the area of Microfinance and International Trade & Banking. He has published research papers in Economic and Business Journals. The workshop fee is Rs.6000 for two days, inclusive of service tax. This includes workshop kit, lunch, and two high tea breaks. This fee does not include accommodation and transportation. Arrangement for accommodation and conveyance can be made on request and on payment basis. A discount of 10% is available only for research scholars. 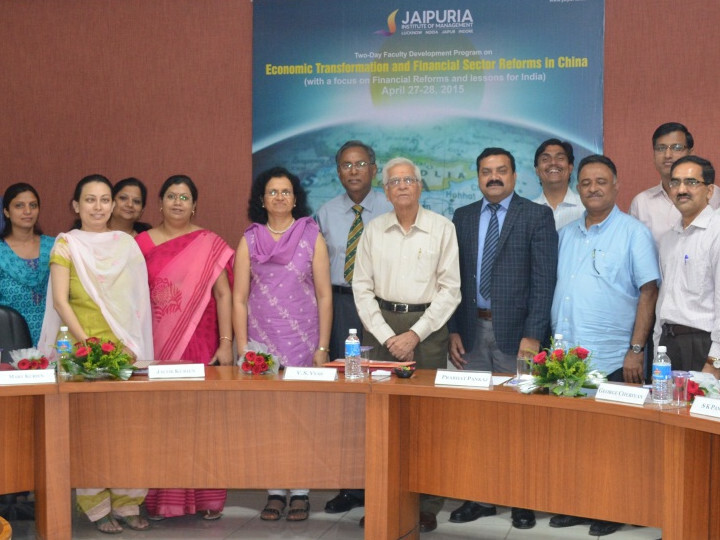 Jaipuria Institute of Management, Jaipur organized a Faculty Development Program on the theme “Exploring Possibilities for Robust India China Relationship” on April 27-28, 2015. The FDP was focused on diagnosing the pre and port reforms economic scenarios of two Asian giant economies India and China. The FDP also focused on exploring the possibilities for Indian China growth trajectory and what lies ahead between the two economies. The occasion witnessed the presence of eminent personalities i.e. Padam Bhushan Dr. V S Vyas, Professor Emeritus, Institute of Development Studies, Jaipur; Dr. Jacob Kurien, Resident Professor of International Economics, John Hopkins School of Advanced International Studies, HNC, Nanjing, China; Dr. Vijay Vir Singh, Professor, Rajasthan University Jaipur; Mr. George Cheriyan, Director, CUTS Centre for Consumer Action, Research & Training; Dr. Faisal Ahmed, Associate Professor, Fore School of Management, New Delhi. Dr. V S Vyas, the key note speaker of the program, provided a comparative environment of both the economies. He started his discussion by discussing the similarities between the two countries. He mentioned that two countries are having lots of similarities. The both are large countries with huge population base, having rich and old culture which is deep rooted in the society. Both the economies are fast growing economies and are suffering from corruption which is at high level. The present status and growth of China is significantly different from India because of the followings; firstly China initiated the economic reforms in 1978 while India did so in 1991, so they have early mover advantage. Even after implementation the economic reforms in India, the country is lacking behind because of weak delivery systems, negligence of social sectors, lack of consensus on key economic issues, ignorance of ‘Soft State’ and growing inequalities and endemic corruption; secondly, the political condition of china is more of a capitalist country, India is more towards socialist one. Dr. Vyas further highlighted that the economic condition of China is not going to be as rosy in future as it was till date because the economy is suffering from various hang overs of the past wrong policies i.e. one child policy, registration of rural migrants (HUKOU System), state ownership of all lands; weak regulatory mechanism; overhang of public debt; distortions of priorities at local level, too much dependence on external demand (export oriented economy) and significant rise in social and economic inequality. 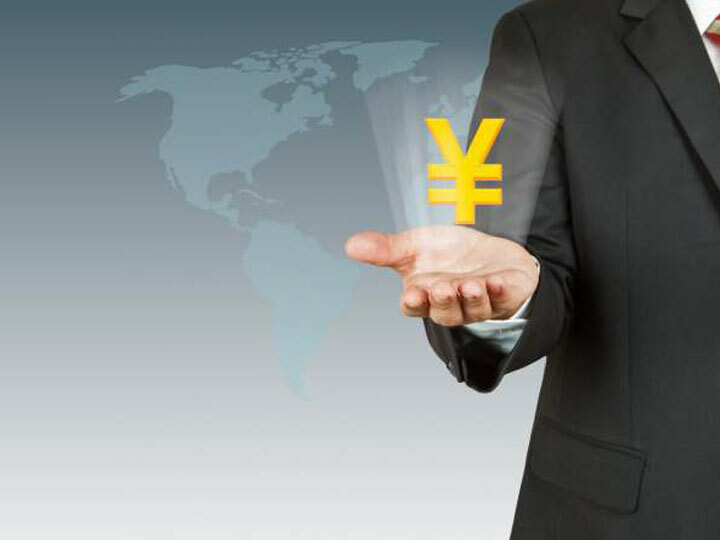 Therefore China needs to take immediate action to overcome its weakness and continue with robust growth level. Further, Dr. Vyas suggested that there are immense possibilities for robust India China economic relationship as both the counties need to implement the best practice of one country into another. In the coming future, Chine will be forced to ensure greater political freedom while India will be forced to ensure greater investment in infrastructure and social sectors. Both will continue to be high growth economies in coming few years and growth trajectories of India and China will converge. Both the economies are eligible and will compete for leadership especially in Asia. While speaking on the occasion Dr. Prabhat Pankaj, Director, Jaipuria Institute of Management Jaipur mentioned the importance of having this two day session for broadening of our horizon and knowing about India China relationship and internationalization of RMB. He also said it is important for us to know what lies ahead and what are the possibilities and impossibilities between India and China. During the two day Faculty development program, Dr. Kurien showed the economic transformation of China and presented the key challenges which China is facing in current regime, while Dr. Vijay Vir Singh highlighted the same in Indian Context. Dr. Kurien suggested that China needs to liberalize its capital market and move towards becoming a market based economy rather than the bank based economy. He also discussed the internationalization of RMB as the world reserve currency and suggested that it will take another two decades for RMB to replace the dollar in the world market. If China want to achieve the better economic prospect in future, then they needs to join hands with India, as India is having huge demand and bi-lateral trade with China. Dr. Faisal Ahmed discussed about the economic and geopolitical history of India China relationship and concluded that in order to achieve higher level of economic sustainability, both countries needs to move hand in hand and focus more on the growth which is inclusive in nature. The program was coordinated by Prof. Prashant Sharma. Overall the FDP was very informative and was inquisitively attended by the faculty members from Jaipuria Jaipur.